With Horizon Desktop™ installed onto your vessels PC you will get access to the latest compression technology designed to optimize voice and data communication. Now you can enjoy voice and data services for a fraction of the cost you are paying today. 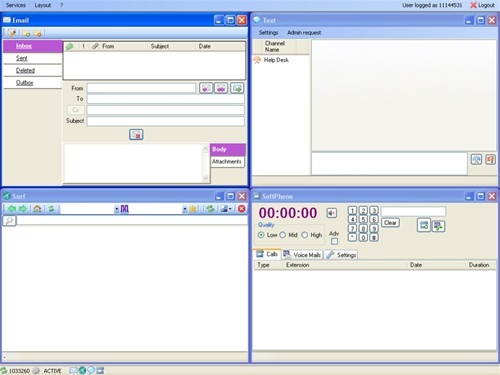 The Horizon Desktop™ software provides the latest VoIP codec and IP technology, operating in a standard easy to use and secure Windows environment. Designed with data cost and usage awareness at every level, the Horizon Desktop™ incorporates instant messaging, e-mail, Internet surfing, VoIP and voice-mail (depending on user license) in a single convenient application. 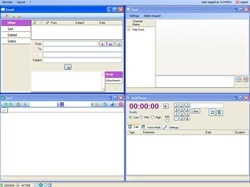 Basic Annual Single User License version with VoIP-VoIP, Text and Email.